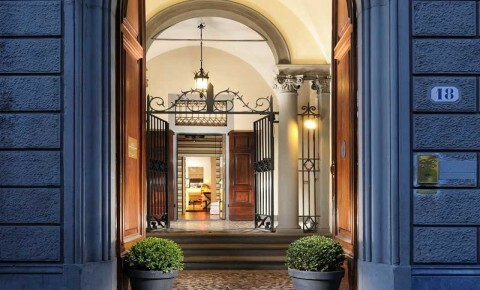 The Casa Howard Guest House, situated in the heart of Florence, just few steps from the Basilica of Santa Maria Novella, the cathedral and the Uffizi Gallery, is a historical building that opened its doors after two years of restoration works. The atmosphere of the property is unique, and its concept is to provide a high-quality standard of service to offer its guests a unique and special stay. The interiors of the Casa Howard Guest House are full of antique furnishings with a sophisticated and distinctive design. Guests will have an honesty bar at their disposal, and breakfast with freshly baked products can be served every morning directly in the guests' rooms. Guests will be given the key of the property and they will have 24 hours access to their room. Even though Casa Howard is not a hotel, the concierge service perfectly meets the needs of the most sophisticated guests.